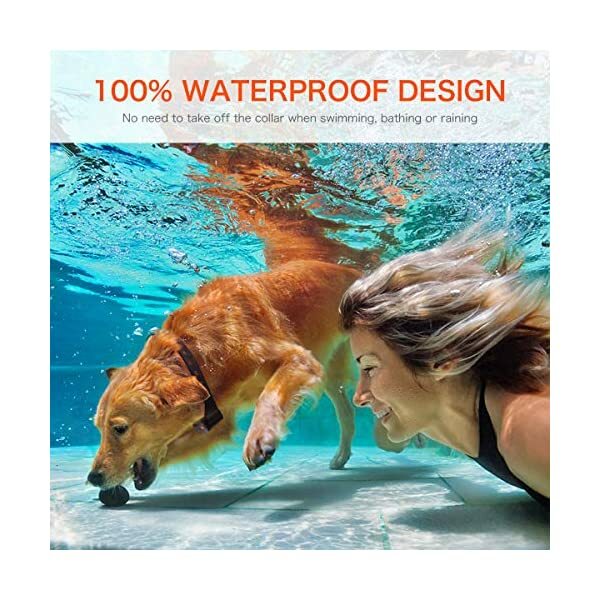 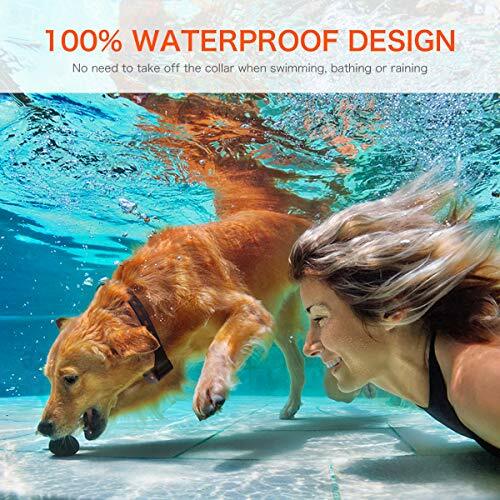 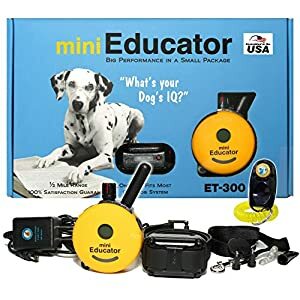 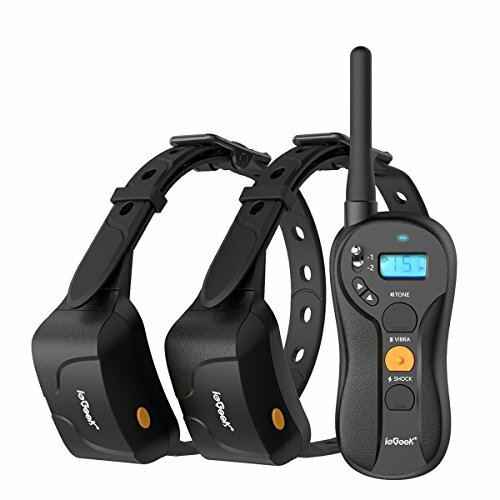 【Warranty & Customer Service】- ieGeek Dog Shock Collar offer 60 days Money Back, 3-Year Warranty, excellent customer service and add unique tracable prodcut serial number, which makes your purchase absolutely risk-free and you can enjoy its quality and durability. 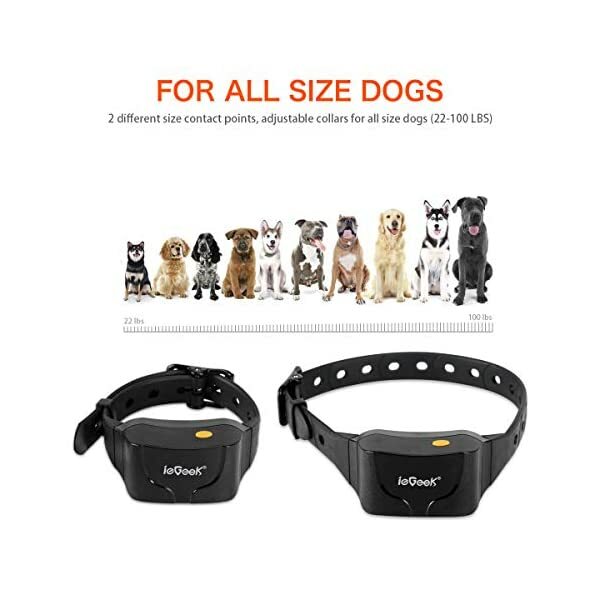 If you have inquiries or concerns, please feel free to write to us. 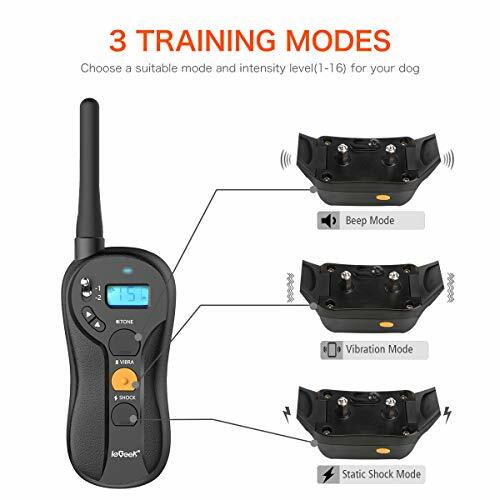 【Dog Shock Collar with 0-16 Level Adjustable Beep, Vibration and Shock】- Three mode to choose, 0-16 level to adjust for each mode make it guaranteed you will find a stimulation that works for your dog. 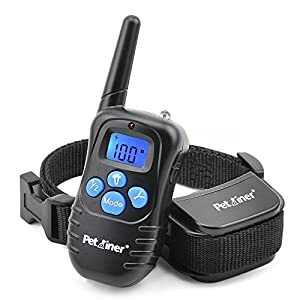 Designed to correct barking, walking, leash training, sitting, aggression,and other behavioral obedience for pet owners and expert trainers. 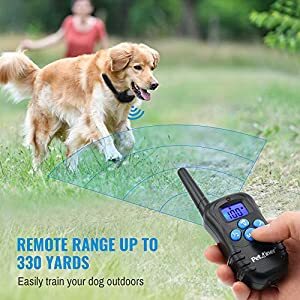 Dual channel design support training your 2 dogs with one remote! 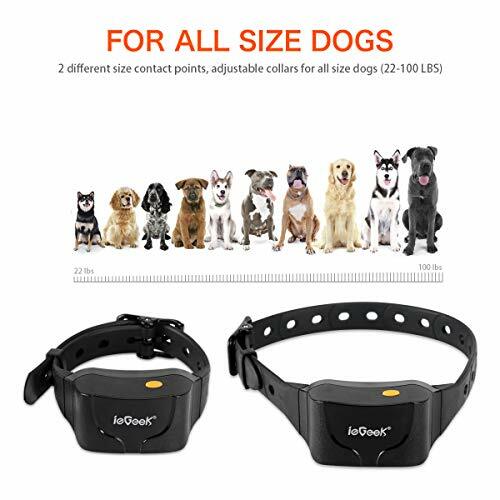 【Warranty & Customer Service】- ieGeek Dog Shock Collar offer 60 days Money Back, 3-Year Warranty, excellent customer service and add unique tracable prodcut serial number, which makes your purchase absolutely risk-free and you’ll enjoy its quality and durability. 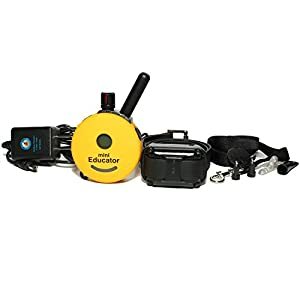 If in case you have inquiries or concerns, please feel free to write to us. 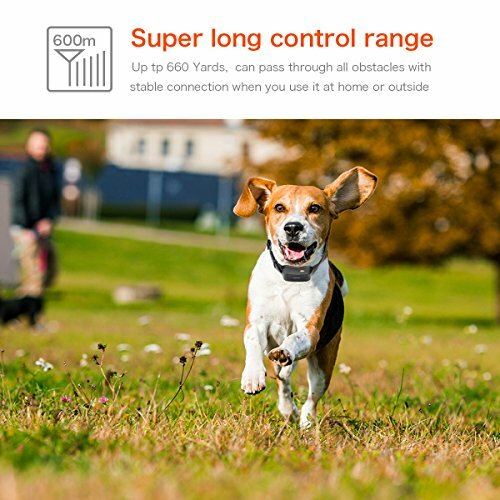 【Dog Shock Collar with 0-16 Level Adjustable Beep, Vibration and Shock】- Three mode to select, 0-16 level to adjust for each mode make it guaranteed you’re going to find a stimulation that works for your dog. 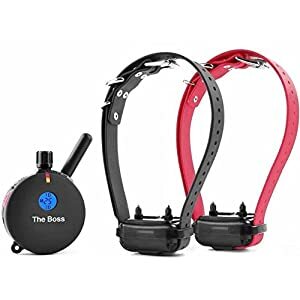 Designed to correct barking, walking, leash training, sitting, aggression,and other behavioral obedience for pet owners and expert trainers. 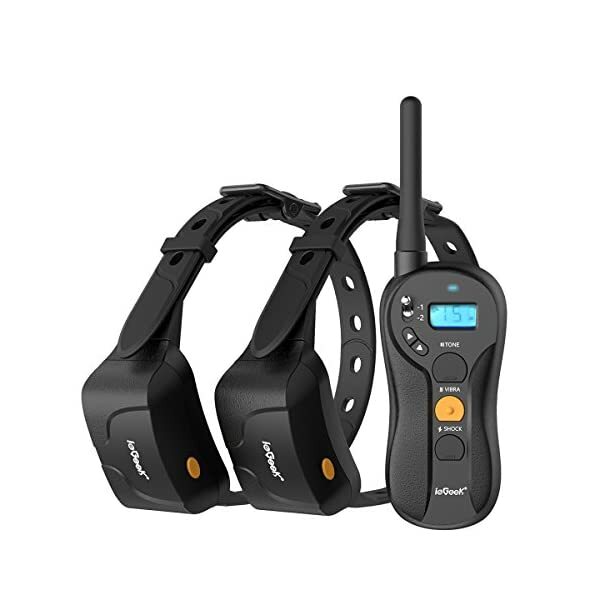 Dual channel design fortify training your 2 dogs with one remote! 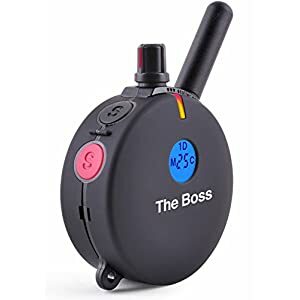 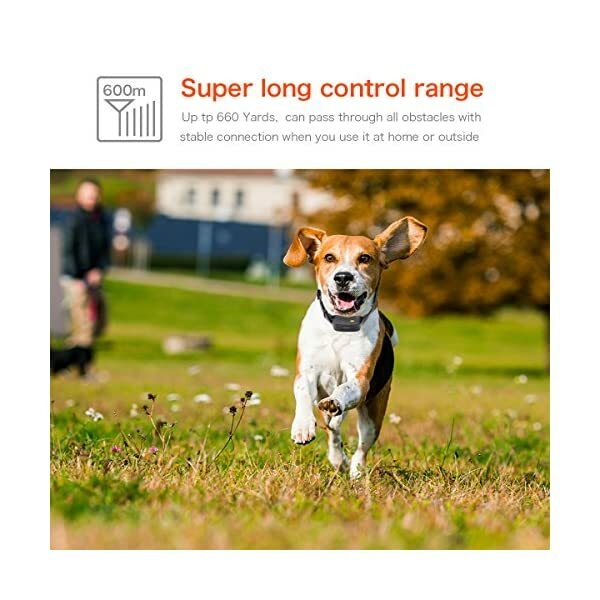 【E-Collar used by Expert Trainers, Keep an eye on Range up to 660 Yards】- Remote Training Collar is designed with advanced RF434Mhz technology, remote Keep an eye on range up to 660 yards, make it easy to train your dog in the park or backyard. 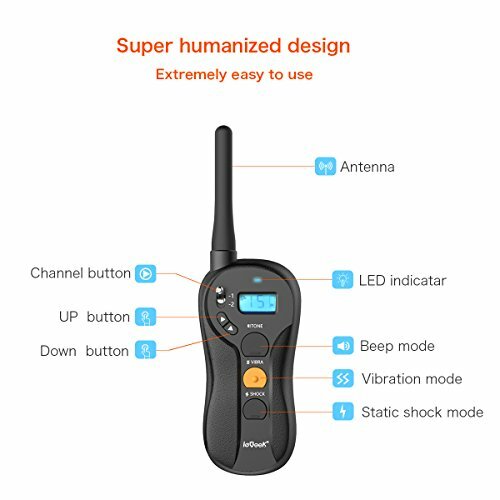 It can go thought all obstacles with stable connection when you use it at home or outdoor. 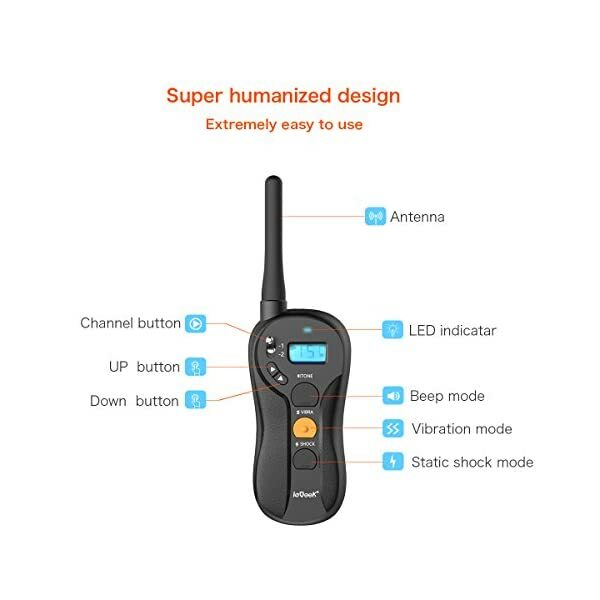 【Longer Standby Time and Rapid Charger Function】- Upgraded battery- Built with 550mAH and 3.7V lithium polymer battery- with CE,EMC certified and complied with FCC rules(FCC ID:2AHHYPTS-018), it may be fully charged in 2-3 hours. 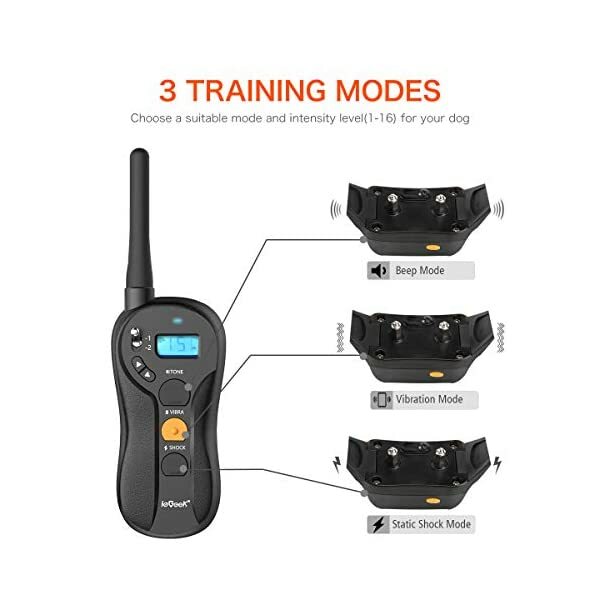 Coming with 2 in 1 charger cord, you’ll super easy and quick to charge both training collar and remote at the same time. 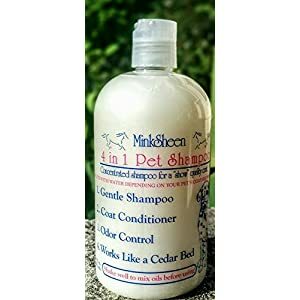 MinkSheen Pet Shampoo 4 in 1 Concentrate 16 oz.